"Don't know why we're bothering with the brutes," Aniphaste said, shutting his tome and straightening the amulet around his neck. "The battle is as good as won, with me here." Drake glanced up from the stump where he'd been sharpening his sword near his men. Without a word the big man returned his attention to the steel, holding it up to examine the edge for any missed nicks or notches. The wizard waited for a retort, but after a full minute of listening to the grind of the whetstone, he cleared his throat. "Something to say in your defense, iron monger?" Aniphaste demanded. "There was a story I was told, once upon a by," the warrior said. "A king declared war, and every force prepared for battle. A lowly squire brought his master's horse, but though one of the beast's shoes was loose he thought they were in too great a rush to pay attention to such a minor thing." "I don't see what that has to-" the wizard said, before Drake cut him off. "The knight mounted up, and rode toward the front. He was nothing special, just one knight among many. No great champion, and no master of the field, but he was strong of arm, and firm in purpose." Drake tested the edge of his sword against his thumb, and nodded when it nearly drew blood. "But the horse lost the shoe on the road. The horse went lame, and the knight had to continue on afoot." Aniphaste glared, but didn't interrupt further. Drake paused, giving him a chance to, but when the wizard didn't rise to the bait, he continued speaking. "The knight walked into the evening, and over the horizon he saw the fires of a great battle. But he didn't reach the place it had happened until long after the final blow was struck. His side had lost, and his brothers in arms lay dead for miles. The place he would have held in the line, had he been there, had been filled by a squire. A boy less experienced, and who had been a weakness in the shield wall. The line had broken, and the enemy poured through to wreck death and destruction." Drake slid his sword into its scabbard, and slipped the baldric over his head. He stood, and walked toward the wizard. His gait was measured, and each step drove the point home. "The kingdom never recovered their momentum. The tide turned. The war was lost. The king was toppled from his throne." Drake stood over Aniphaste, and held the spellcaster's gaze. "Never scoff at a nail. Because while you may not appreciate it, if it doesn't do its job, it might be your head next on the chopping block." Just one, lowly little nail. The Making of "The Nail"
When it comes to players, most of us want to be in the spotlight. We want to deal the deathblow to the demon general, cast the lightning bolt that slays the dragon, or grab the vampire by the head and turn it to dust with positive energy. But playing an RPG is a team sport, and a team effort, and pulling a party through to victory often comes from the background support as much as it does from strong right arms, or flawless spellcasting. Characters who understand this, and who accept it, are the nails that hold everything together. The unsung bard who uses his song and spells to defend his allies from enemy magic while bolstering his party's attacks is an ideal example. So is the cleric who prays for guidance and righteousness, curing ailments and breaking curses before they can take hold and rob the party of strength. The tactician who sacrifices her glory in order to guard her allies (possibly by using some of the suggestions in Aid Another in Pathfinder is More Powerful Than You Think) understands that if she doesn't do her job, then the others won't be able to do theirs. The inquisitor who promotes teamwork among her allies, taking the actions that will help instead of those that make her look good, might also fit the description. 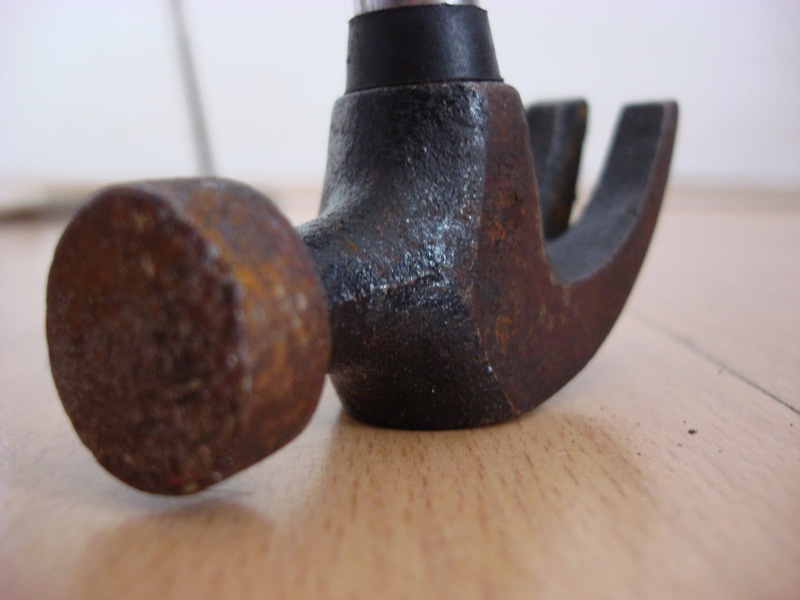 The Nail is less about specific build, though, and more about tactics, beliefs, and outlooks. The Nail understands that it's the little things that lead inevitably to great victories, or huge disasters. Better to have and not need, than to need and not have. This attitude can manifest itself in myriad ways, both big and small. It might be the fighter who never takes credit for the deeds done, instead reflecting the praise and glory onto others who got him close enough to plunge his sword into the heart of the problem. It might be the diviner who understands that fate is made up of big strands and small ones, and that if one strand goes missing then the whole tapestry could unravel. It could even be the enforcer who believes that the law must come down equally on everyone, great and small alike, because if anyone evades it then that erodes the glue that holds society together. 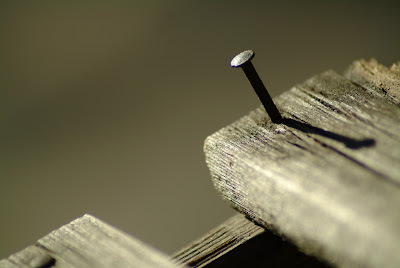 The Nail is the watchman who stands guard, knowing he may not be important, but that he is necessary. That's all for this week's installment of Unusual Character Concepts. Hopefully you enjoyed it, and it sparks some discussion among your groups. If you'd like to help support Improved Initiative so I can keep content just like this coming straight to your door, well, why not head over to The Literary Mercenary's Patreon page to make a pledge? $1 a month helps more than you'd think, and it gets you a bunch of sweet gaming swag in the process. Also, if you don't want to miss any of my future posts, you should follow me on Facebook, Tumblr, and Twitter. This is actually my primary play style, though it's actually pretty rare for me to not get recognition at this point. Being a chemist IRL, alchemist ends up being my personal favorite class, but rather than play as a master of pyrotechnic bombs, my characters get played as master craftsmen, able to make all sorts of useful tools with their alchemy, eventually creating magic items with their talents. My main time to shine is usually between trips, where I manufacture high end gear for my party, giving them a massive edge, and selling my wares to build up my coffers to buy useful consumables (alchemical items, wands, scrolls, etc). While my combat abilities tend to suffer a little, my group is always grateful when their new gear wins the day, or I pull out an odd item that happens to be perfect for the situation. I like to play characters that help the party more as a while, and leave the showboating to the rest of the party. I'm playing a blacksmith in a current campaign, and I've sacrificed a lot of combat sessions in trade for time to make the party better gear (as well as like half my feats lol). A well equipped party is a successful party, and our gm plays hardball. My brother once played a mage who made the unusual claim - "Evocation is the least efficient and effective use of arcane power on the battlefield". He then went on to use nothing but summoning, de-buff and crowd control spells in combat, saving most of his energy for creating items. By the time we were mid-teens, we were tooling around with enough gear to hit WAY out of our weight class, not to mention nigh-untouchable by enemy mages. Dude went beyond a nail. Dude was friggin' cyanoacrylate. That is a true statement. Evocation is flashy, but by the time you get through SR, saves, and resistances you're lucky to land 25-50% damage. Better to lock em in a force cage or wall em off or blind em.